I’ve been sorting out an old office in Hursley House. The current house is getting on for 300 years old. IBM bought it 50 years ago, and has added to the site ever since, as you can see here (on jazz.net). 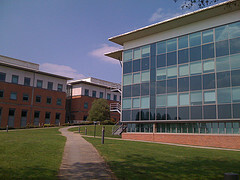 The newest significant extension was A Block, shown here (from Wikimedia) opened two decades ago. 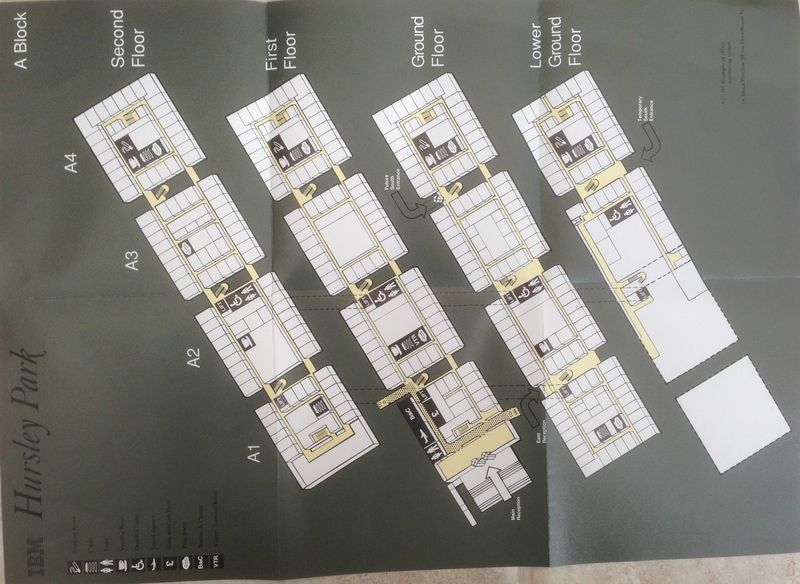 During my clearance, I uncovered a large fold-out brochure that explained to IBMers what was happening on-site during the construction. 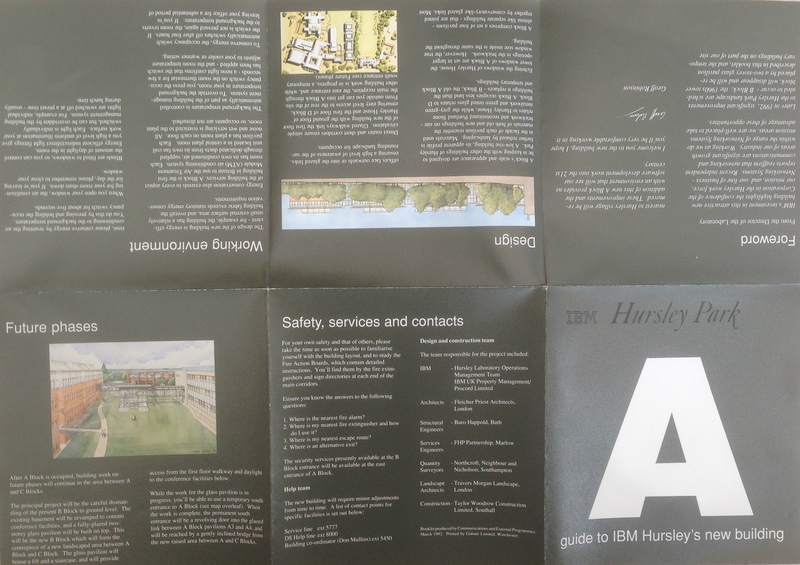 It was created and published by the in-house for employees by the Communications and External Programmes group based at the IBM site. Literally “in-house” if I remember correctly, because the team were located in Hursley House. 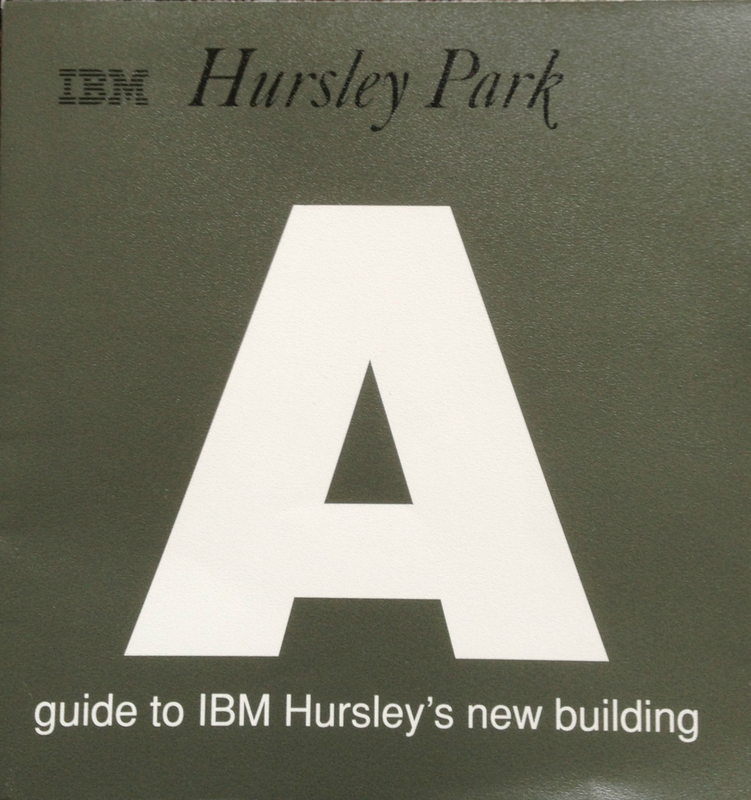 I’ve sent the original to the IBM Hursley Museum, which is also now in the basement of Hursley House. 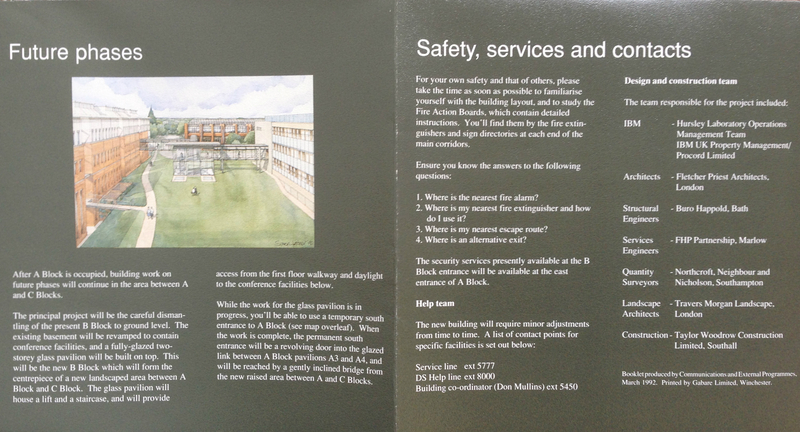 But here are some photos of the brochure.